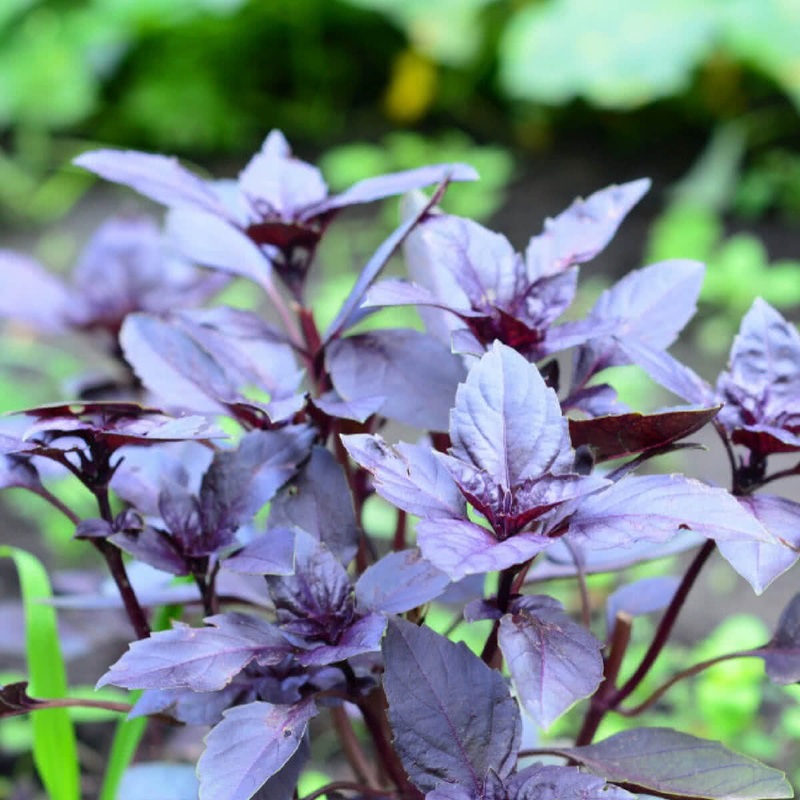 This particular basil variety can be easily characterized by its large, toothed, uneven leaves. The leaves can grown to around 3 inches in length and have a ruffled appearance. 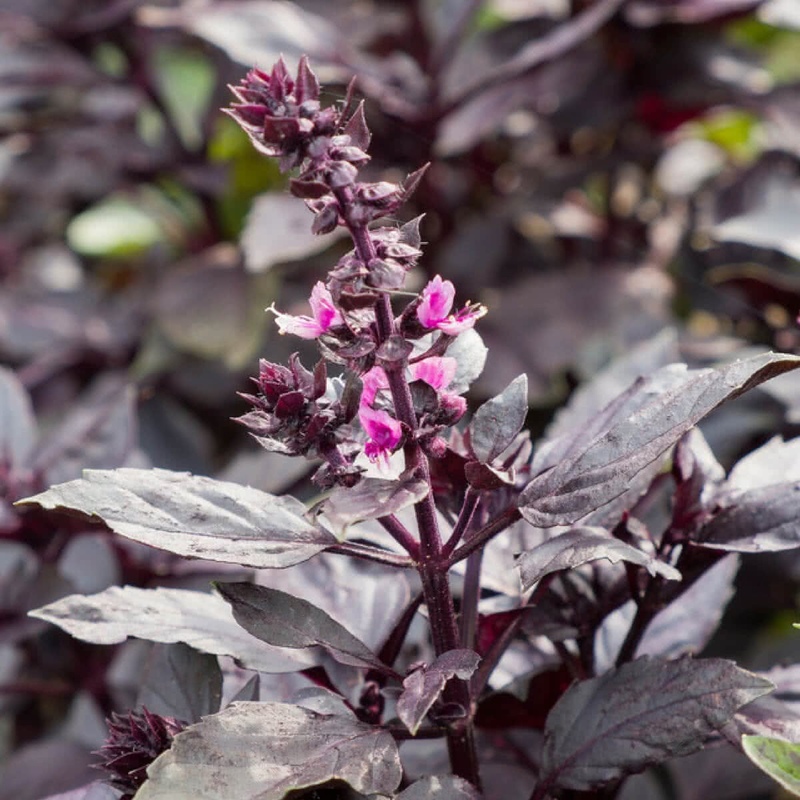 Purple Ruffles basil offers a mild basil flavor, that is sweet and offers spice-like notes reminiscent of cinnamon and licorice.